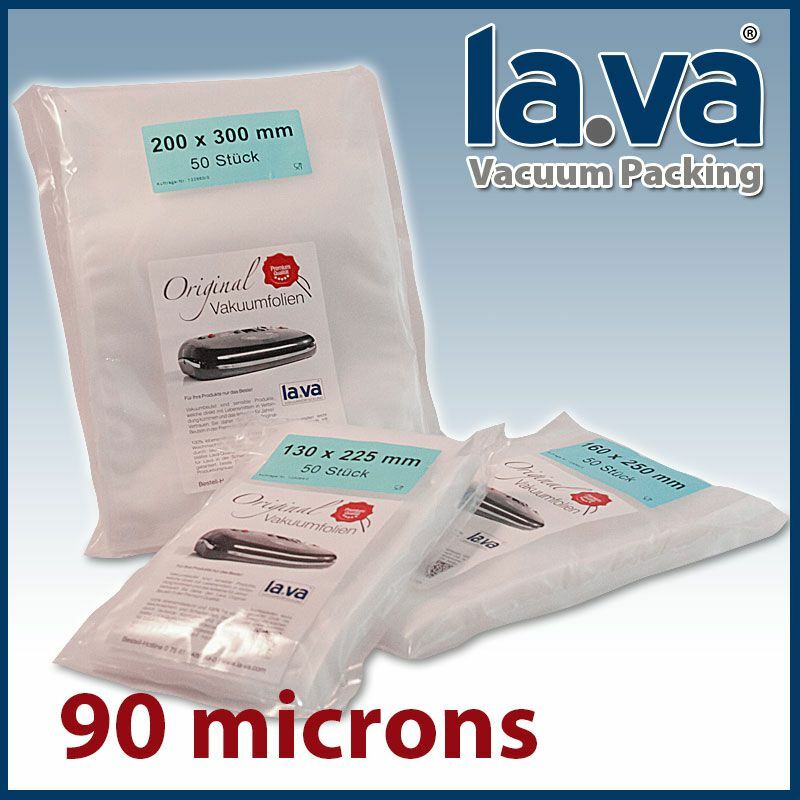 Lava vacuum bags are the finest quality money can buy. Manufactured in Switzerland and incorporating a fine textured construction. Can be used for freezing, Sous vide cooking and Microwave. They will work in ALL MAKES of vacuum Sealers. Do not be fooled by other bag and roll suppliers claiming they are the best ! Most textured / embossed vacuum bags and rolls are either manufactured in Europe or the Far East. There also seems to be only two types available. A large open crisscross texture or a finer embossed texture. Let me explain how they are manufactured. The larger criss-cross structure bag is assembled from two plastic foils. Both foils begin as clear plastic. One foil is passed through a textured roller which embosses the crisscross pattern structure onto the foil. Both foils are then fused together on three sides to create the textured bags. Be warned though, some of these bags that come out of the Far East contain harmful softener agents. Always try to purchase your bags from a European manufacturer where plastic softeners are illegal to use in food gradable bags. The other disadvantage of these bags are the claims that manufacturers give to their micron thickness. If they claim the bag is 90 micron thick, this is not so. The area of the texture that has been crushed into the one surface is considerably thinner, which can be up to 50%! The second option, and far the best quality textured bag, is made with the finer crisscross pattern. They are constructed in a totally different way using multi layers. The bag is constructed from three foils, two clear and one with fine texture already embossed on it. The three foils are then fused together at three edges to form the bag. The main advantage to these finer textured bags are that the embossed texture does not compromise the thickness of the plastic. Another advantage is that the finer texture seems to hold back any liquids from rising up the bag as fast when vacuumed. They also do not contain any harmful plastic softeners. 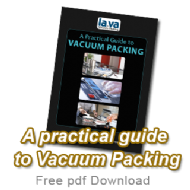 Any plastic used in food preparation must hold certification, LAVA vacuum bags and rolls do. Stay clear of any Far East produced bags, you do not know what you are getting! 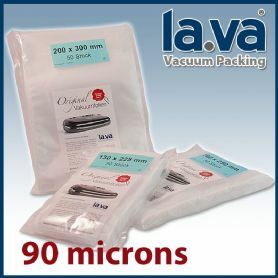 Lava vacuum sealer bags are manufactured in Switzerland and have all the benefits mentioned above.